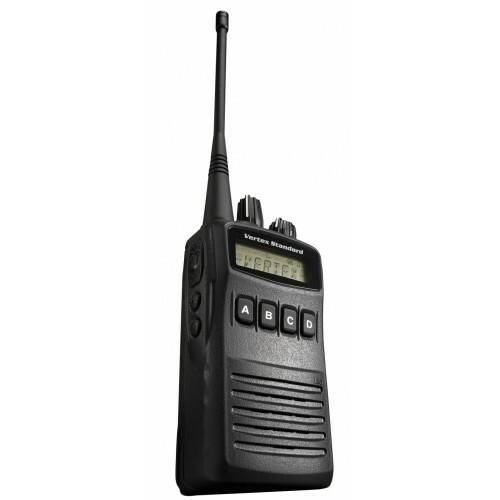 This 2-way radio has all the great features like it's cousin the ISVX-451 with the addition of a display. It is submersible (up to 3 ft for 30 minutes) and weatherproof. There are several worker safety features, extra audio volume for noisy environments, and whisper mode for quiet locations. 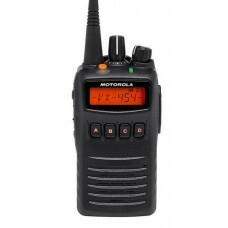 The Motorola ISVX-454 has the Channel Announce feature that clearly announces the channel description to simplify changing channels while focused on other tasks. It has numerous scan options (priority, dual watch, follow-me, 32 scan list, talk around). 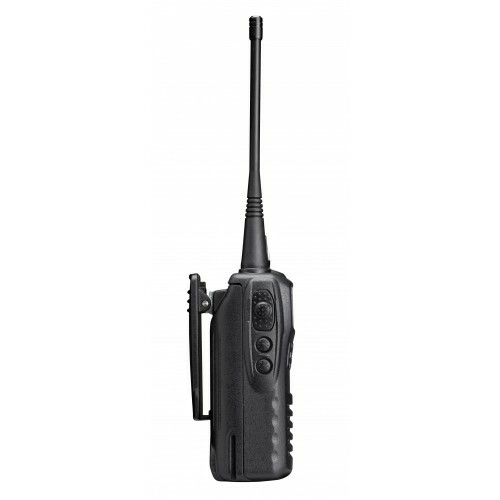 The ISVX-454 twoway radio includes Voice Inversion Encryption for discreet communications, over-the-air Stun / Kill / Revive to disable a lost or stolen radio, Emergency notification, and the Lone Worker mode. You can add the optional DVS-5 Voice Storage unit to record and store up to 120 seconds of important messages. The Motorola ISVX-454 meets the requirements of ANSI/UL 913 5th Edition for Class I, II, III, Division 1, Groups C, D, E, F, G, T3C hazardous locations. Want a full key pad? Take a look at the ISVX-459 intrinsically safe radio. 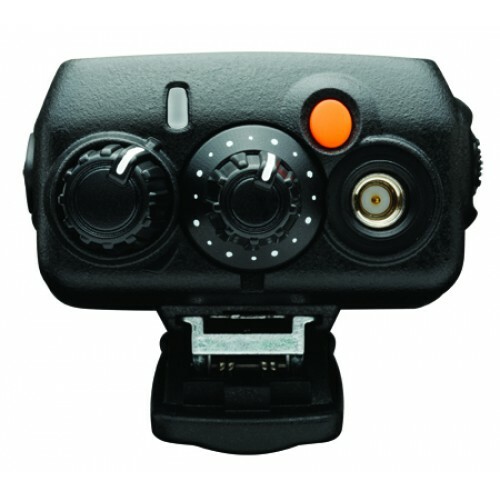 The Vertex ISVX-459 , it has everything the ISVX-454 has and includes an 8 character display, and 9 programmable keys, and a full 16-key keypad.